I always thought that only humans can suffer from a heart disease, obesity, and other dreadful diseases until my Vet told me that my dog suffered from one. My dog has a heart disease may be he got it from scrap foods high in sodium that I used to feed him. Luckily I noticed his change of behavior and weight loss earlier otherwise It will be too late for him to undergo treatment and proper diet. Salt Toxicity is life threatening among dogs and canines alike so we have to be very careful on what we feed them. Giving them dog foods with low sodium content is a start. In here, we will show the the best low sodium dog food in the market with some tips on how to identify them. If your dog is more inclined to a fish meal than meat then this is the one that you should give him. It is made from a nutrient rich Salmon which is a good source of protein. It has no soy content as well as corn or wheat, it doesn’t even contain artificial flavor & coloring. It has high in Omega 6 and Zinc which are essential in improving skin nourishment & shinier coat. This food is designed for dog's with a sensitive stomach and those have skin allergy problems. Bag Size: 7 sizes from 6 lb to 30 lb. 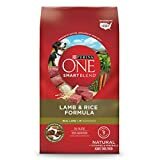 This is best suited for senior dogs that need care and attention especially with their diet and well-balanced nutrition. It is designed to help your dog fight cell degeneration due to aging. This is made from pure chicken which is the best source of protein and amino acids that helps in keeping the joints healthy and strong. It contains No soy, artificial flavoring, preservatives and additives that have no nutritional values that can benefit your dog. It has Beta Carotene and Vitamin E that helps in boosting your dog's immune system with essential minerals to keep the bones healthy and strong. Bag size: 5 sizes from 15.5 lb to 38.5 lb. There is a wide selection to choose from this one. This a premium dry dog food for large puppies that can provide 100 percent healthy and balanced nutrition. It has no preservatives and artificial colors and flavors in it only pure and healthy ingredients. You can choose from combinations like Chicken Meal & oats, Lamb Meal & Rice, Chicken & Barley, Chicken Meal, Rice & Barley, and the Chicken Meal & Barley. Those are high-quality ingredients that are natural sources of amino acids like Glucosamine & Chondroitin. Both are essential protein acids needed for strong muscles & joints. This is made from U.S with imported ingredients for lean muscle build up & healthier weight. This food is designed specifically for big dogs with bigger nutrition requirements and needs. It contains Omega 6 fatty acids & vitamins that nourish skin and helps in promoting a shinier coat just within 30 days. Blended with antioxidants and vitamins C & E to boosts a healthier immune system of your dog. Bag Size: 5 sizes from 8 lb to 40 lb. This is one of the best from Purina which is rich in Glucosamine. If you want to keep your dog’s joint healthy and mobile I strongly recommend feeding your dogs this kind of food. 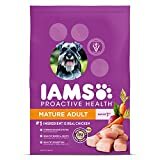 It also helps boosts your dog's immune system because it contains Vitamin A and E, mineral Zinc and Selenium that builds a dual defense Antioxidants inside your dog’s body. And most of all this a heart friendly type of food that will surely protect your dog from heart diseases.Feeding amounts are based on the nutritional needs of an adult dog per se and can be adjusted depending on the condition whether it is obese or undernourished. Bag Size: 3 sizes from 6lb to 30 lb. 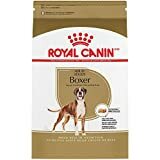 This food is ideal for boxers aged 15 months above, it contains a lot of nutrients like Taurine and L carnitine which is essential for a healthy heart. Muscular dogs like Boxers are highly active breeds but are prone to cardiac sensitivity that is why Taurine and L carnitine rich foods are best for them. This product is in kibble design making it easier to chew and digest, the appearance also encourages canines to take a bite. This also helps in maintaining the ideal body mass and improves cellular growth of your dog. Why Do We Need Low Sodium Dog Foods? Electrolytes like Sodium plays an important part in one’s body. It helps in regulating muscle & nerve function as well as in maintaining the body’s overall fluid balance. This mineral works with other electrolytes like Potassium to perform specific task concerning normal muscle function and any imbalance to this mineral will eventually lead to a more serious problem. Sodium also helps in maintaining the cellular environment and prevents your cells from dehydrating & swelling. In Dogs case, however, low sodium dog foods are being preferred to keep them healthy and active. As much as possible we want them to be well nourished and far from life threatening diseases resulting from high consumption of Sodium that we knew nothing about. In early stages of dog’s life, high level of sodium intake is not much of a concern. But as dog grows old day by day, sodium consumption should be kept in moderation especially to those who have sodium restriction in their diet. An adult dog food, for example, should contain at least 0.03 % of Sodium and 0.09 % of Chloride for normal growth and development while puppy foods must be 5 times higher. A healthy dog can consume 100mg of sodium per 100 kcal ( 0.35 to 0.5 % ) every day as long as he has no sodium restriction. For those dogs who have moderate restriction should have 80 mg per 100 kcal (0.1 to 0.35% ) and for those who have severe sodium, the restriction should be 50 mg per 100 kcal ( .01% ). So what are you really looking for in a low sodium Dog Food? Of course, aside from it should have a low sodium content it should also possess the well-balanced nutrition needed by your dog. Actually, It is not much different from any other dog food, as long as it exhibits same nutritional value as the others it’s good enough for me. Meat is the best source of high proteins and calories and should be the first in the list among all ingredients. Meats coming from Beef, Chicken, Salmon, Lamb, and Pork are the among the best choices. Your dog food should not contain unspecified ingredients like Meat Meal and Bone meal. These meat by products are cheap and low in quality ingredients used by dog food manufacturer as an alternative source of protein. This byproduct may come from different meat sources such as horses, pigs, and goats and is processed as a whole including feet, heads and internal organs. Alternative fat source, Sugars, Preservatives, Additives, artificial flavors, coloring & dyes is a no-no. These ingredients don’t have much nutritional value, it is only added in your dog food to make it more attractive and tasteful to eat. In some cases, it can trigger food allergies so it’s better to away from it. Corn, Wheat, and Soy should also be avoided cause most dogs are allergic to them. It is very important that we can see them on the label in this way we identify how much Sodium it contains and how much needed in daily values. This also includes what vitamins and minerals your dog is getting and how much of them are present in the product. 4. The product should be made from countries that strict regulation on the quality & safety of foods. Countries like the US, Australia, New Zealand or Canada are only of the few that have very strong implementation and strict regulation on food. Your low sodium dog food coming from these countries is an assurance that you are getting the right stuff for your dog. Keen observation and meticulous buying are essential in finding your low sodium dog food and it can be a lot of hassle because you have to be thorough and diligent in making inquiry and reading labels about the product. But be wary if you only rely on the selection solely by reading labels, It is recommended to ask your Vet for any advice & suggestion on what suits your dog the best. Let us take a look at this step on how to choose your low sodium dog food. 1. Make a professional inquiry first like to your Vet for example to achieve better choices. 2. Talk to people or dog owners who have experience with the same dog breed that you have to get ideas and recommendations. 3. Make a list of your choices to lessen your time in roaming around if you're buying it from the store. 4﻿. Read the packaging and labels carefully while sorting out each ingredient what suits your dog the best. 5﻿. Watch out for ingredients that can cause allergies or if your dog has some health issues it is best to buy the one prescribed by your Vet. 6﻿. Don’t get attracted to celebrity endorsement, nice packaging, and labeling. 7. Most of all be a wise buyer. Hypernatremia or Salt poisoning happens when the body takes a high amount of Sodium in the bloodstream that can cause severe brain cell damage that ultimately leads to death. It is important to recognize early manifestation of this signs & symptoms of salt poisoning. If two or more appear in your dog it is better to call and consult your Vet for a professional advice. Sudden loss of appetite of your dog is very alarming unless you know your dog very well when it comes to food. Symptoms may include eating an only small portion of it or nothing at all. Assessment is very important because sometimes dog tends to be picky when not in good mood. Abnormal stool consistency is evident that your dog is suffering from Diarrhea. It is not a big deal unless it continues for more than 24 hours. It is better to consult your Vet on what to do to avoid further dehydration of your dog. This can be caused by a variety of reasons but most certainly as a result from unwanted food in the stomach. Dog's often chew some grass and then expel it, when vomiting continues to be sure to call your Vet right away. You should be worried when your lively and energetic dog suddenly becomes lethargic. Weakness, Fatigue, Sluggishness, Drowsiness, Dullness, Idleness and Tiredness are the most visible sign that your dog is suffering from Lethargy or exercise intolerance. Unusual Thirst and frequent Urination are evidence that your dog is suffering from a more serious form of a disease. This could be a sign that your dog is losing too much water & is trying to replenish that loss. Don't overreact because maybe your dog is only thirsty but don't be confident for it could be a sign of salt poisoning. Involuntary body movement characterized by alternate contraction and relaxation of muscles. Jerking, drooling, tongue chewing, loss of consciousness and foaming of mouth are signs that your dog is having a seizure. This is serious & needs immediate medical attention. A common type is the Grand Mal Seizure which is accompanied by loss of consciousness and convulsion. Diligence and patience are required In choosing the best product with low sodium content in the market. It is strongly advised to check and read the labels thoroughly and carefully. Allergies and other dog health issues must be taken into consideration before buying any product of your choice. 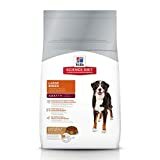 Of all the choices we have, I would choose Hill's Science Diet Large Breed Dry Dog Food. For me, the product excels in terms of quality and nutritional value. I hope that we have helped you in choosing the best low sodium dog food in any way possible. If you want to add some tips & suggestion feel free to do so in the comment section below.